Steps to fill the application form for NID entrance exam. 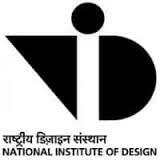 Visit NID official website and click on New Registration. Registration Mode: The candidate can fill the NID 2019 application form via online. Official Website: Candidates need to visit the official website of NID to fill and submit the NID 2019 application form. NID 2019 Requirements: Candidates are required to fill up the NID 2019 form very carefully and provide only the genuine information while filling up the NID 2019 form.Candidates are also advised to go through the information booklet before filling up the NID 2019 form. NID 2019 Application From Availability: The application forms will be available on the NID official website at 25th September 2018. Photograph and signature: Thereafter, candidates are required to upload the scanned images of photograph and signature in the prescribed format. NID 2019 Application Fee: Candidate will have an option to pay the NID 2019 Application Form Fee via either online or offline mode. The candidate who successfully submited the application form, they will be able to download the NID 2019 Admit Card. The candidate should have to upload a scanned recent passport photograph as per the instructions. All photographs must be in JPG/JPEG format and not exceeding 100 KB in size. It must be a coloured photograph taken at a professional studio. Photographs taken via mobile phone and other kinds of self-composed portraits will not be accepted. Before filling up the NID 2019 application form the candidate should have a scanned image of their signature. All signature files must be in JPG/JPEG format and not exceeding 100 KB in size. The candidate should have their signature digitally photographed or scanned and cropped to the required size. These scanned images are to be uploaded during the submission of NID 2019 application form. Visit the Official Website of NID 2019 and fill up the application form once you have the photograph, signature, and thumbprint at hand. Filling of Application form for NID 2019 involves the following steps. All the candidates are required to register online before proceeding to fill the NID 2019 application form. Provide a valid email address and an active mobile number while registering, since these contacts will be used for all the future communication related to NID 2019 exam with the candidates. The login credential which candidate will generate while the time of filling the Application From, same will be given for to download NID 2019 Admit Card. The candidates should provide their personal details and create a password as shown below. After the NID 2019 registration, NID 2019 login credentials will be sent via an email to the registered email address (do remember to check your spam or junk folders, in case you do not find the email in your inbox). Log in to your NID 2019 account using login and password to proceed further. Click on Submit button, the candidate will be redirected to the main application form. Fill in your details as required on the NID 2019 Application Form (the details should be according to the current official data). The candidates should have to fill their Personal Details, Academic Details, and all other mandatory details. Click on the submit and proceed to upload the documents. The photos of the candidate and the scanned image of the signature should be uploaded at this stage, according to the dimensions and format as mentioned above. Candidates should remember that the pictures once uploaded in NID 2019 application form can't be changed again.So, it is mandatory to pay attention while uploading the images as these images will be updated on the NID 2019 Application Form. Reserved candidates(OBC, SC/ST) are required to upload their caste certificate in the NID 2019 application form.Physically handicapped(PwD) candidates are required to upload their disability certificate issued by a medical authority. After the NID 2019 registration is completed, you will be redirected to a protected secure portal for the payment. The candidate should pay the application form fee online or offline to finish the NID 2019 application form. The candidate should pay to utilize credit/ debit card or by net banking in the event that they are electing to pay the application fee charge on the web. The candidates need to take a printout of the payment/ acknowledgement slip as a proof of payment of their NID 2019 application form fees. Candidates paying OFFLINE: Prepare a Demand Draft of the amount in favour of ‘All India Management Association’ payable at New Delhi. When and how will I receive intimation of selection and admission decision? All sort of information will be available online only on the Official NID Admissions site at http://admissions.nid.edu. What is the website address for submitting an online application? Will the application form be available offline? No, the NID application form will be available online only. What is the application procedure for the NID exam? Candidates have to go to the official website to fill and submit the NID 2017 online application form. Candidates are required to fill up the form carefully. Candidates are advised to go through the information booklet before filling up the NID form. Candidates are required to upload the scanned images of their photograph and signature in the prescribed format.